Byrne Robotics: Doctor Me, I presume? Topic: Doctor Me, I presume? I remember watching The Five Doctors as a kid, and thinking it was amazing (although I realised my memory was being kinder than I thought when I rewatched it recently!). 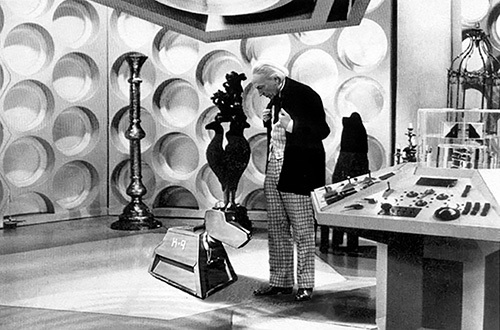 I can't remember what I thought about The Two Doctors, and while The Three Doctors was before my time, I enjoyed it when I saw it - and I'm a bit jealous of those who saw it when first broadcast. NuWho has also done multi-Doctor stories, particularly as part of the 50th Anniversary celebrations. So. What Doctors would you like to see meet? It can be from Classic Who, NuWho, or a crossover. I'd like to have seen Patrick Troughton and Matt Smith, and what fun it could be to have Jamie McCrimmon and Amy Pond in the Tardis together! Jon Pertwee's debonair Doctor and Christopher Ecclestone's leather jacket wearing blunt-speaker could make for an interesting contrast. Colin Baker, with his Doctor's sense of self-importance, and Jodie Whittaker, with her "yay, team!" take. I'll put in a vote for a Paul McGann crossover, just to see more of his character. I'll go ahead and pair him with the David Tennant version. McGann's was, in some ways, the most "human" of the Doctors, even putting forth the idea that he was half-human himself on his mother's side, a development I don't recall being followed up anywhere else. Tennant's also falls that way as well, to the extent that he allowed himself to fall in love (or some sort of equivalent state) with Rose. Early on, the two would find much in common, but as McGann leaps ahead in Tennant's timeline, he would find Tennant losing his grip on his "humanity," as he becomes more and more involved with the idea that he is a Lord of Time and therefore has dominion over matters he'd never tampered with before. I would imagine the growing loss of perspective would strike them both as disturbing once McGann showed up once more to cast it in sharp relief for the benefit of Tennant. Tom Baker an Jon Pertwee. My two favorites. 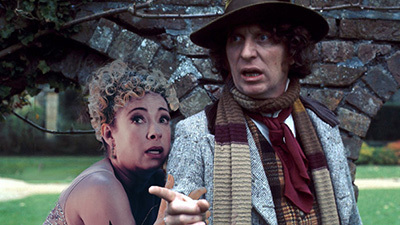 My favorites are Tom Baker and Matt Smith, and they have met... sorta. The first thing that comes to mind for their sharing an adventure together would be the 11th Doctor launching into a whiplash, wordy, winding, something-else-that-begins-with-a-"w" monologue, and the 4th interjecting a sotto voce, "Steady on." 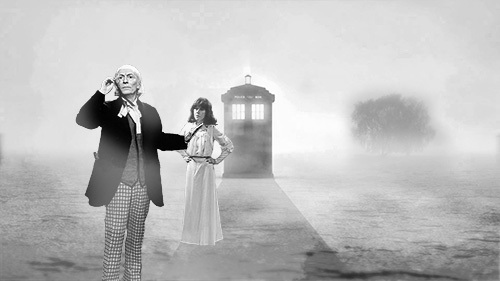 I hate the idea of 21st century Who contaminating the classic era so I'll confine myself to classic and say the 2nd Doctor meeting the 4th. It sort of happened in an audio story* featuring David Troughton stepping into his father's role and acting opposite Tom Baker, though there was a nice twist to that particular encounter. 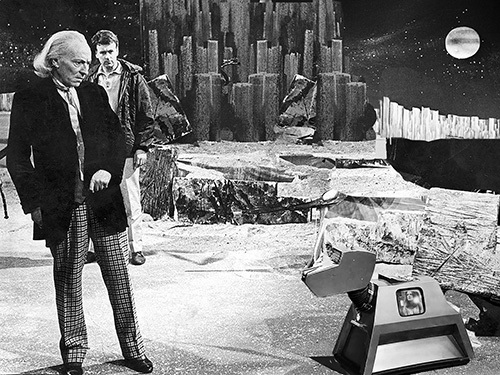 Fun as that was, though, it would have been nice to see an onscreen pairing of Patrick Troughton and Tom Baker. *Part 5 of Doctor Who: Serpent Crest for anyone interested. 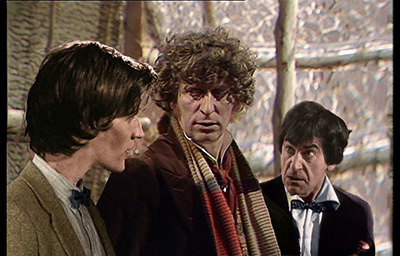 Eighth Doctor meets Twelve with Bill and Nardole. The villain: the Anthony Ainley incarnation of the Master. Nice job on the sight-lines! JB, have you ever had to make a mask of the face, remove the eyes, layer in some eye-whites and then replace the eyes in the position in which you want them? I avoided that in all of these. In NEW VISIONS I have found the Ps “Smudge” tool comes in very handy for shifting sight lines.